Napier: Indian captain Virat Kohli will be rested for the fourth and fifth one-day international matches against New Zealand as well as the subsequent Twenty20 international series, the Indian cricket board (BCCI) said on Wednesday. The BCCI is keen to manage Kohli's workload in the build-up to the World Cup in England and Wales, with India set to continue their preparation for the tournament with a limited-overs home series against Australia starting on Feb. 24. "Considering (Kohli's) workload in the last few months, the team management and senior selection committee is of the view that it would be ideal for him to get adequate rest ahead of the home series against Australia," the board said in a statement. Kohli has been in stellar form, scoring 282 runs in the recent test series in Australia to help India end a 71-year wait for a series victory Down Under. He extended his purple patch in the subsequent ODI series, finishing with 153 runs at an average of 51 in three matches, including a match-winning century at the Adelaide Oval. The 30-year-old finished as top scorer in both tests and ODIs with 11 centuries across the formats, and earlier this week won the International Cricket Council's cricketer, test and ODI player of the year awards. Rohit Sharma, who led India to the Asia Cup title in September last year, has been named stand-in captain and selectors are not planning on calling up a replacement for Kohli. 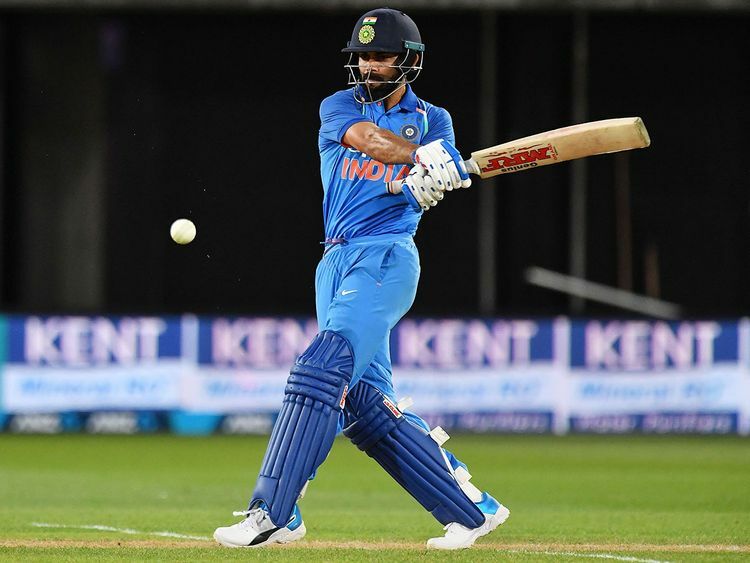 India lead the five-match ODI series against the Kiwis 1-0 after an eight-wicket win in Napier on Wednesday.